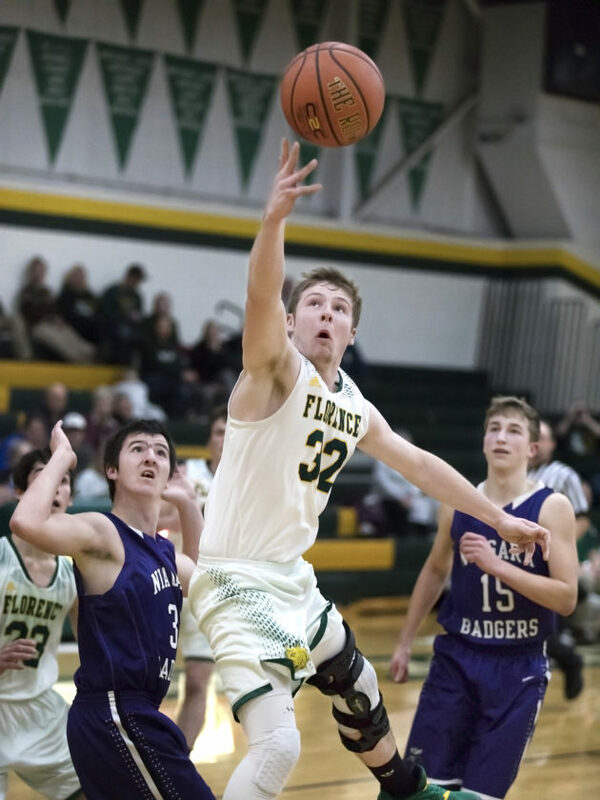 FLORENCE, Wis. — A late first-half rally ignited Florence in a 75-36 non-conference rout over Niagara on Tuesday. The Bobcats (1-0) went on a 25-2 scoring run in the final five minutes of the first half, taking advantage of turnovers and steals to build the lead. What was a 20-all game turned into a 45-22 halftime lead for the Bobcats. Kaden Schuls’ six steals helped him to a 30-point night for the Bobcats. He hit three triples all in the first half. Evan Beaster added 16 points with a team-high 12 rebounds. Tristan DeJardin led the Badgers (0-1) with 13 points. He went up for a layup contested aggressively by Schuls, who landed on each other behind the basket. DeJardin exited the game with a right knee injury. There was 2:46 left in the game and Florence leading 73-30. DeJardin was helped off the court, leaving the Badgers’ offense in limbo for Thursday’s home opener against Goodman-Pembine. Other than DeJardin’s injury, the Badgers struggled to strike a rhythm on offense or defense. 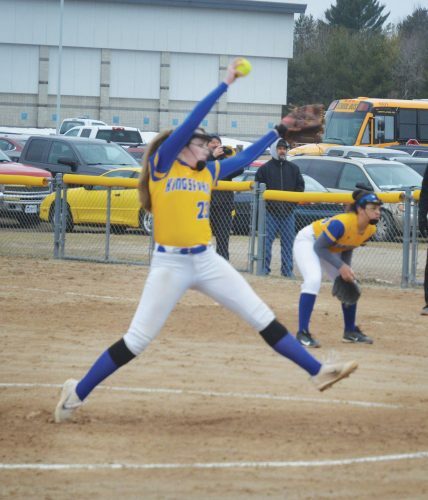 But with eight players suited up, Hoogland said he knew it’d be tough to try matching Florence’s speed while staying fresh. Landen Kaldor and Joshua Weber had 10 and six points apiece, respectively. DeJardin grabbed five of Niagara’s 14 rebounds. 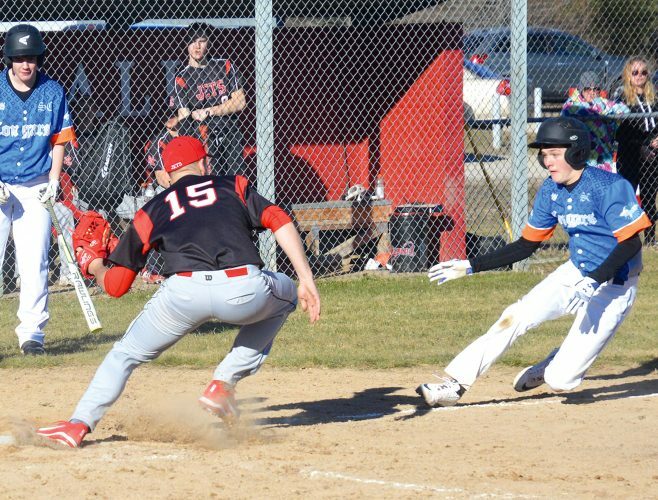 Bomberg said the team has to somehow keep the momentum going with a Northern Lakes Conference game against Phelps. Hoogland said Florence’s run came when the Badgers lost confidence with the turnovers. NIAGARA (36): DeJardin 13, Kaldor 10, Weber 6, Tripp 4, Carlson 3. FT: 3-6. F: 9. FG: 15-53. 3PT: 3-19 (Kaldor 2, DeJardin 1). Rebounds: 14 (DeJardin 5). Turnovers: 25. FLORENCE (75): Schuls 30, Beaster 16, Hixon 12, Wheeler 9, Krueger 4, Braining 4. FT: 6-12. F: 11. FG: 32-70. 3PT: 5-23 (Schuls 3, Hixon 1, Beaster 1). Rebounds: 40 (Beaster 12). Turnovers: 16. Steals: 19 (Schuls 6).